Once in a while I’m truly remembered I have too much of this stuff... I’ve shown this one before, I know, but the other one had it’s mirror broken of so I thought I’d get another one if I could. 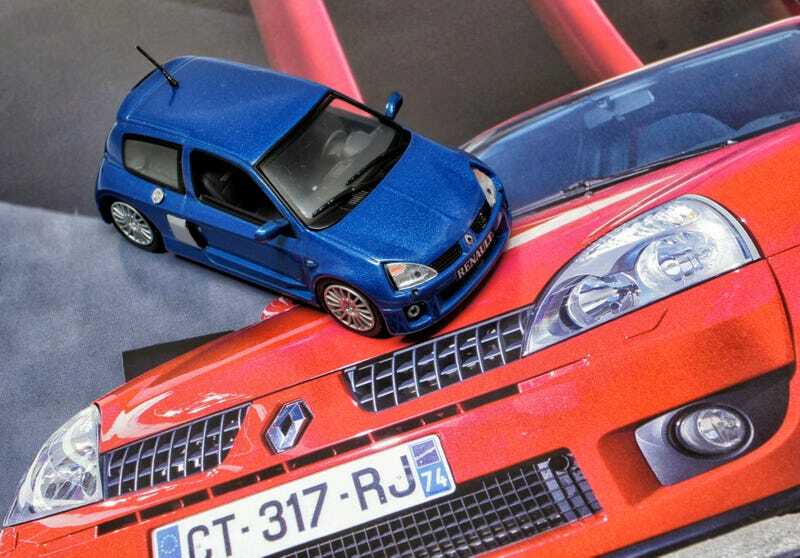 Last week, in my Clio V6 Phase I post, I promised to do a Phase II this week. So here it is. So just some extra shots today, it’s about time I did a little reshoot anyway, I think this was the subject of one of my first posts. I hope you don’t mind and if you do: So be it. It’s glory prevents me from having it around me and not enjoying it personally. So enjoy these a bit and let me think about our next LaLD Car Week a bit. No idea yet but I’m sure we’ll work something out. Or is that the week after next week? Well, work to be done anyway!